In a skillet heat Oil. Sear Chicken Thighs on both sides until browned. While browning Chicken, combine Lemon Juice, Garlic, Salt, Pepper, Paprika, Herb Blend, and Lemon Oil. Stir until combined then add Potatoes and Green Beans. Toss to coat and then spread evenly in a Flexiflat placed on a Perforated Baking Sheet. 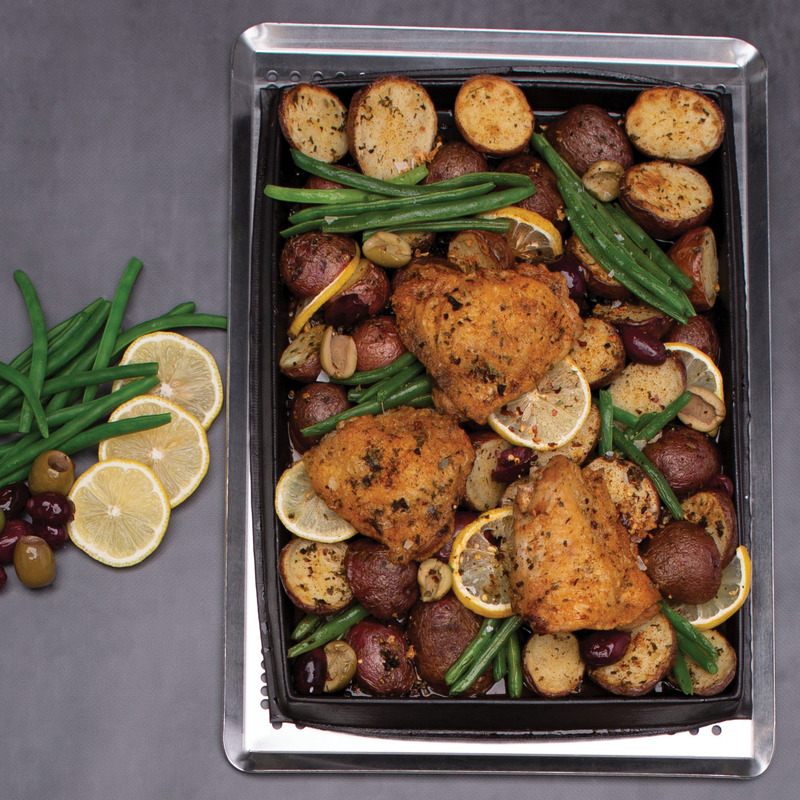 Once browned, place the Chicken Thighs on top of the Potatoes and Green Beans in the Flexiflat. Distribute the Lemon slices and Olives evenly. Bake for 30 minutes.